It seems to have become traditional at this time of the year, for Maximus to go off in a huff, despondent with the state of the world, wondering if there is any point still writing a blog when no-one much is building, or worse still that no one’s reading, and everyone is now just mouthing inanities on Twitter, and to mutter into her FishFins that she’s never coming back. Six weeks later, having had a decent swim in ocean’s warm embrace, and hopefully having attained nirvana on a small rocky outcrop a million miles from anywhere, Maximus returns, full of beans… Ho Ho Ho indeed. But this year things are a little different. For a start, there are now also two other bloggers writing for the Fish, even if sporadically: Erentz and Minimus. Keep it up you two – much appreciated. But, for another thing, the Eye of the Fish has now been going for Five whole years, which is what we wanted to equal in terms of the late great WellUrban column. 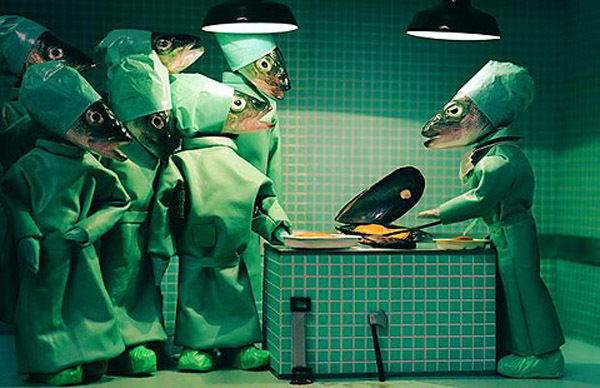 In that time, a FishHead magazine has started up (no relation), a lot of other things have closed down, and most of the EyeoftheFish crew have departed these shores for good. Philip really is gone this time, although there is a faint hope he may blog from afar. Sav ? You have more than one shot in you? Maybe… As long as nothing too drastic goes wrong with the site, we may be able to pootle along for a wee while longer. Remember – new writers always welcome – there’s always room for some little fish…. Of course, other countries have managed to survive with unreinforced masonry for centuries and centuries, even if they are also similarly stricken with earthquakes. 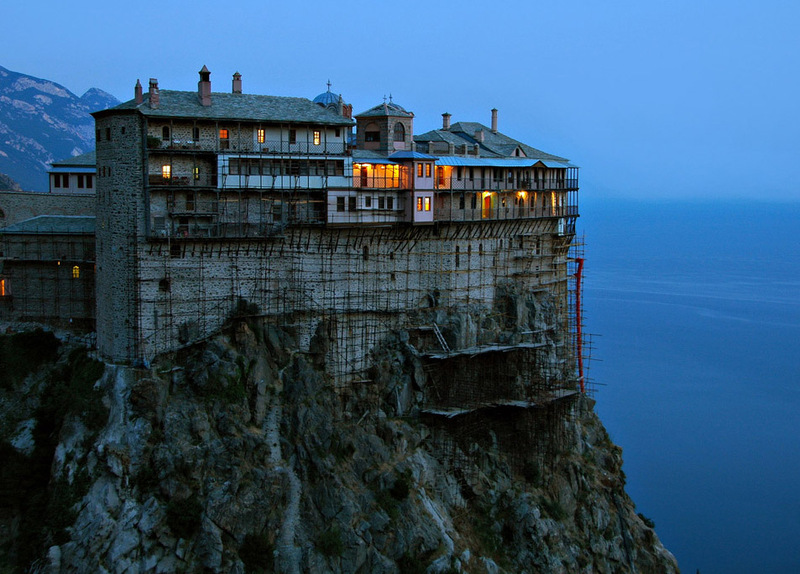 Here’s one of the glorious monastries of Mount Athos in the ancient hills of modern Greece – built by monks without a skerrick of D12 reinforcing, and yet still there. You can see that the regular maintenance is a big thing, even if it is a little hairy at times…. Clearly we don’t have the nice stable rock that they have, and neither do we have acres of solid marble to build with. Nor, for that matter, do we have a Building Consent Authority capable of dealing with anything more difficult than a garden shed without sending it back for More Information Required. I’d quite like to do an Alternative Solution for a gothic, solid stone walled building, perhaps with massive buttresses protruding out, and just argue prior use (Notre Dame in Paris, anyone?). But that’s all for next year. Right now, I’m just going to dive back into that deep blue ocean and go offline for a few weeks. Happy holidays to our many happy readers! Maximus. Wow. 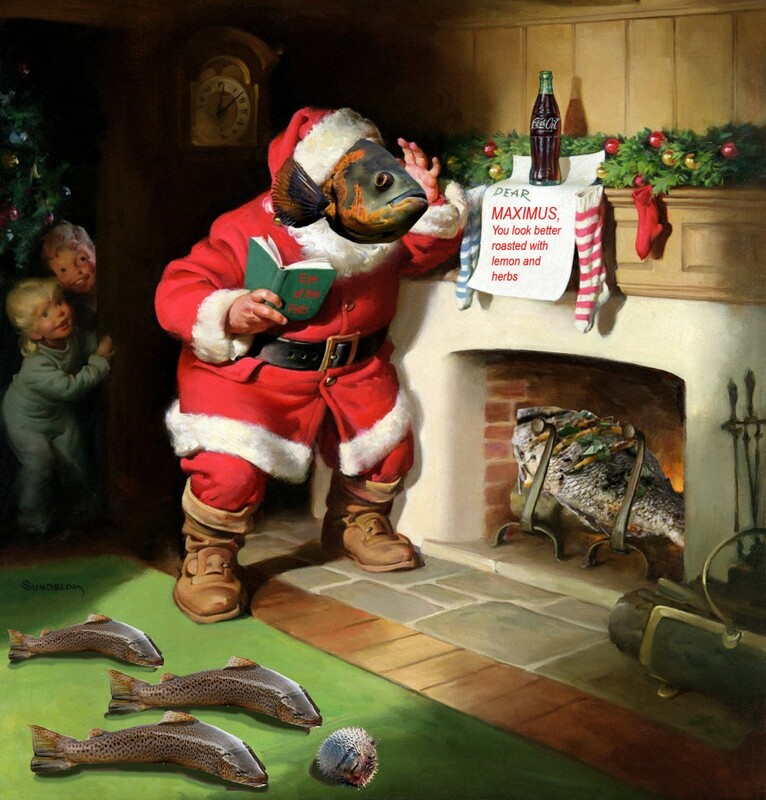 You’ve outdone yourself with the Christmas photoshopping this year. Happy holidays. 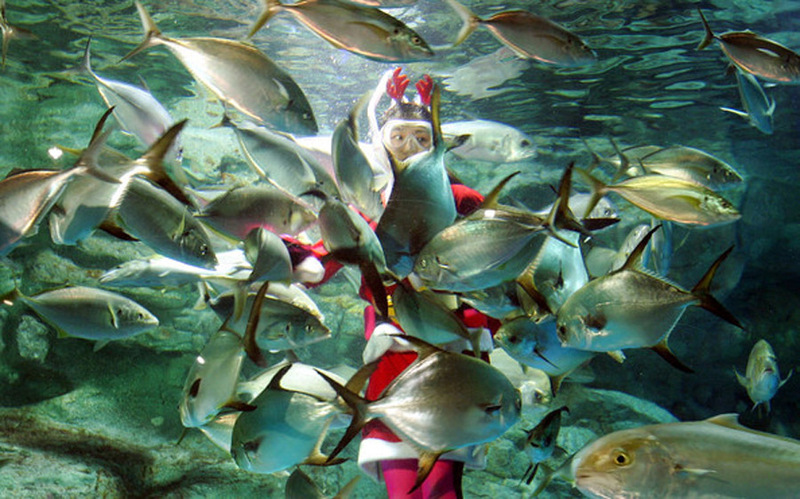 Merry Fishmas Maximus (and the rest of the fish writers & readers). Have a good (but safe) one. It’s the end of the world as we know it – but I feel fine….